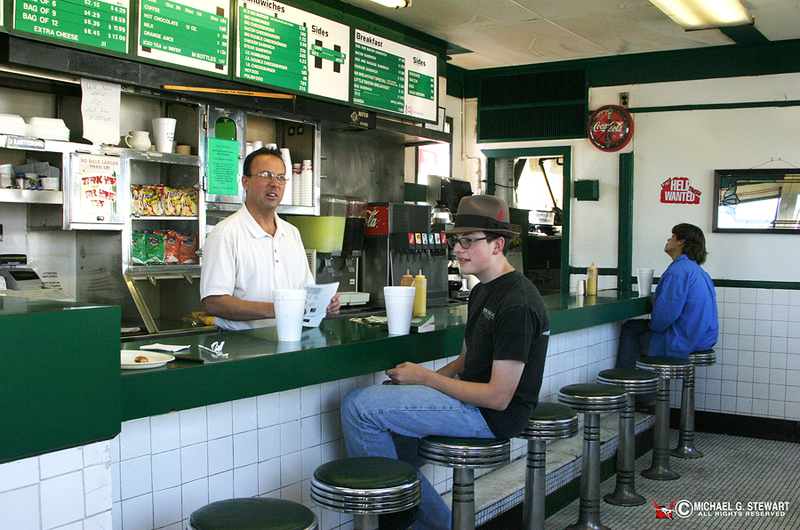 Yesterday, I had the pleasure of meeting up for breakfast at Laurel’s legendary Tastee Diner with Michael Stewart. 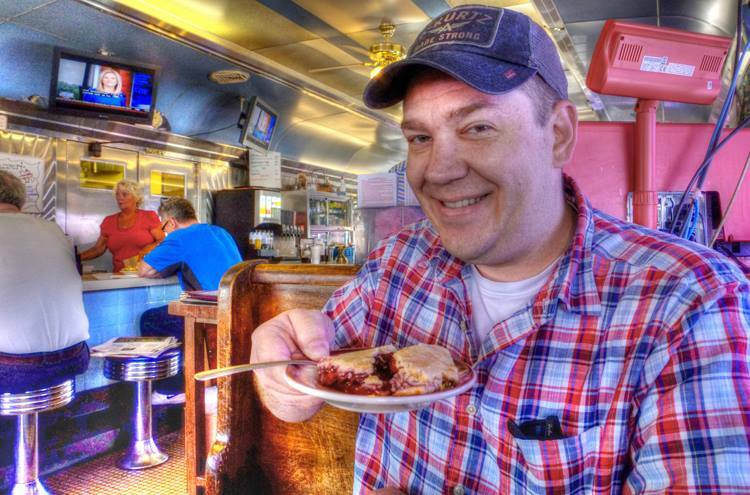 Michael is an award-winning photographer and artist, and also happens to be the father of one of my favorite bloggers—Diner Hunter, Spencer Stewart. 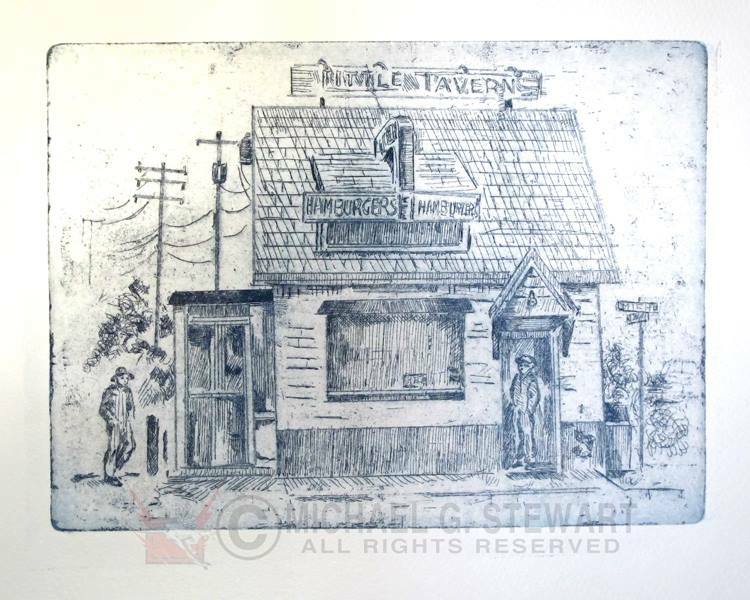 Michael has been getting back to his illustrative roots with a printmaking class at Montpelier, and he really caught the essence of the memorable little white building with the green roof. 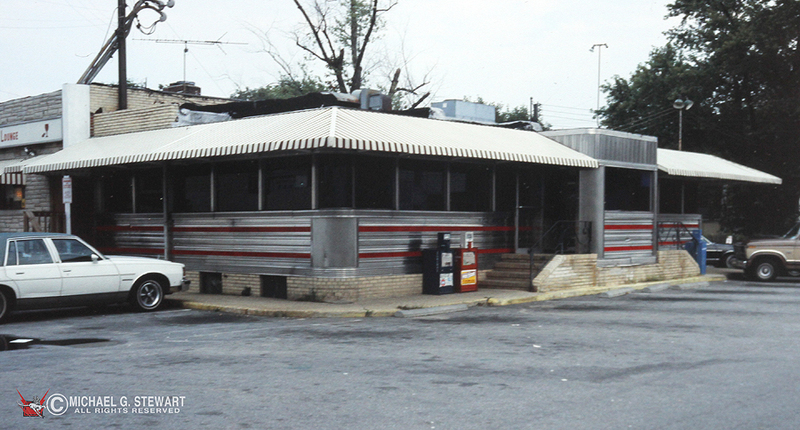 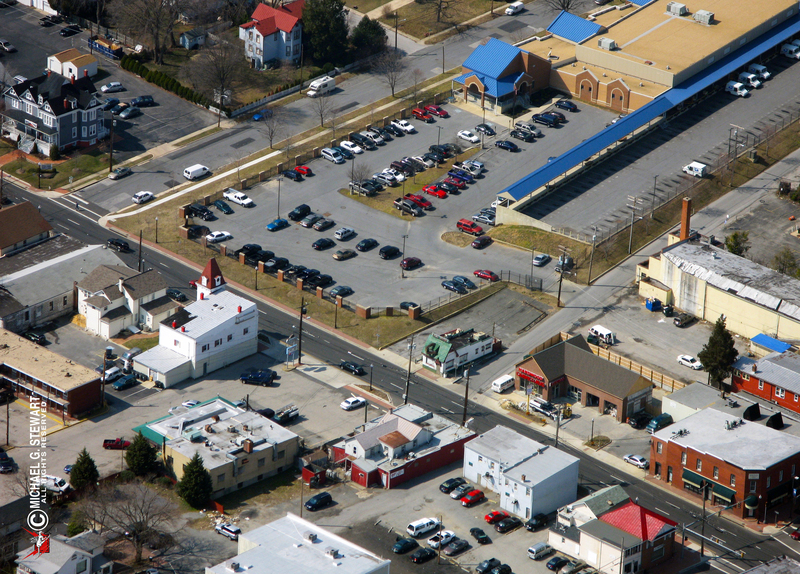 Of course, the building is still there at 115 Washington Boulevard—just across the street from the Tastee Diner. 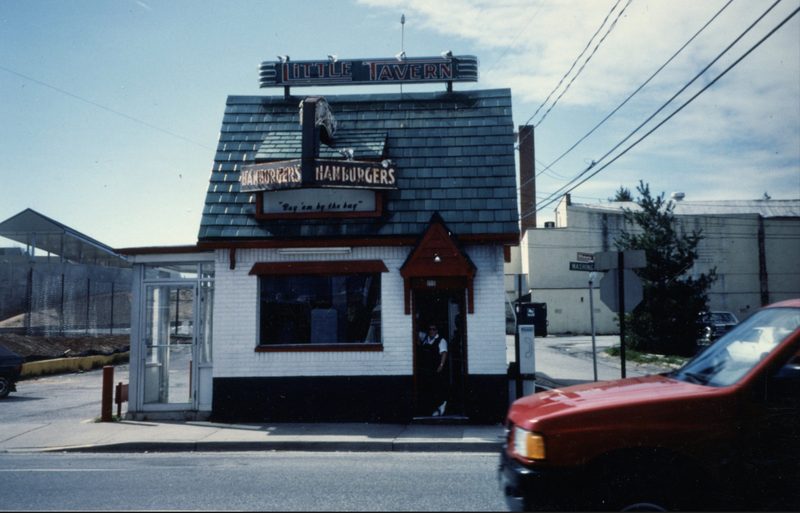 In fact, since it reopened as Laurel Tavern Donuts in 2008, it’s the only known establishment that still makes the famous Little Tavern Sliders from the original recipe, which was handed down by a former manager at the restaurant. 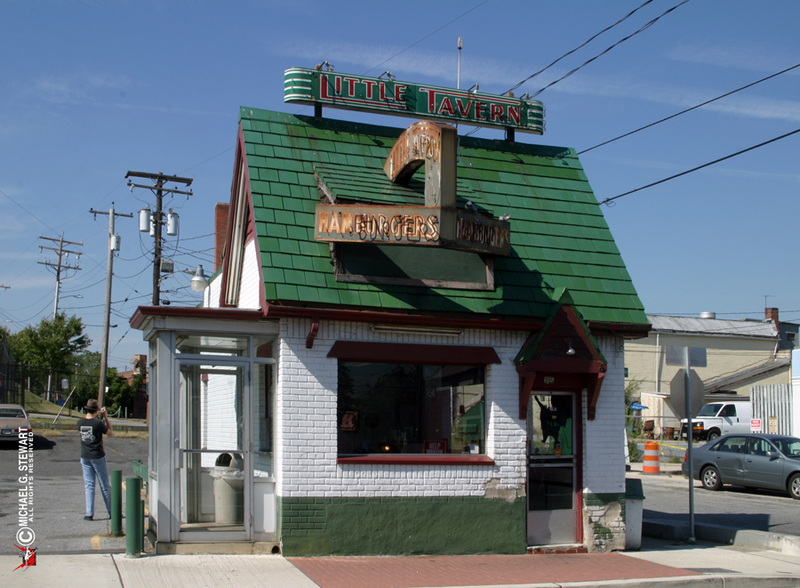 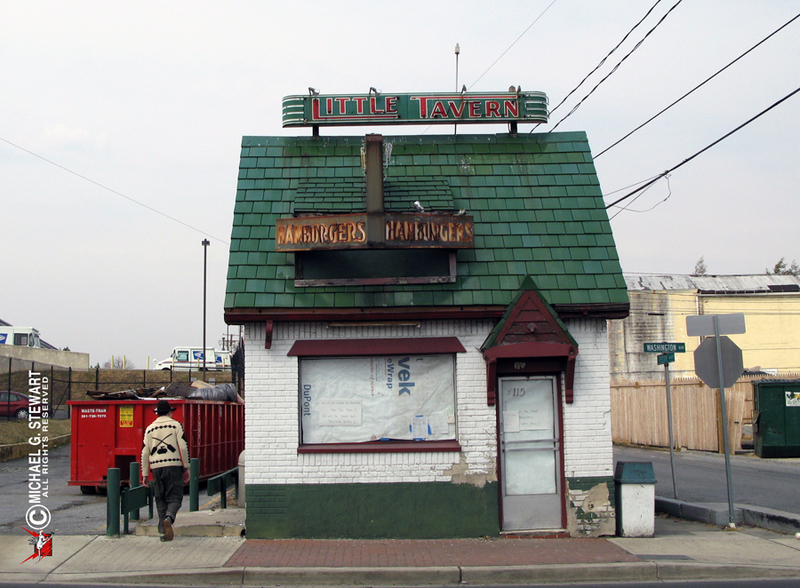 Laurel’s Little Tavern first opened in 1939, and was among the very last to close its doors. 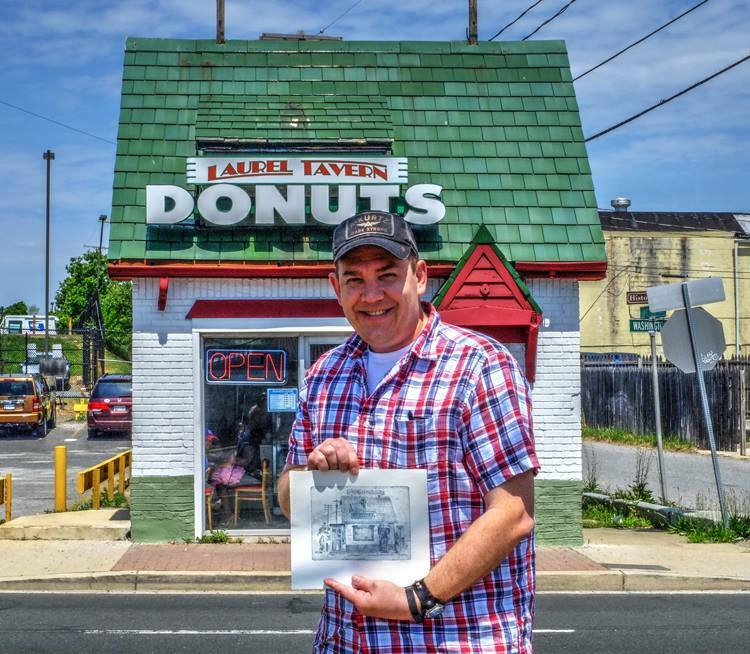 After a great meal and wonderfully nostalgic conversation, (both of which are always enhanced by the Tastee Diner’s one-of-a-kind ambiance) I had my original etching framed before I even made it back home! 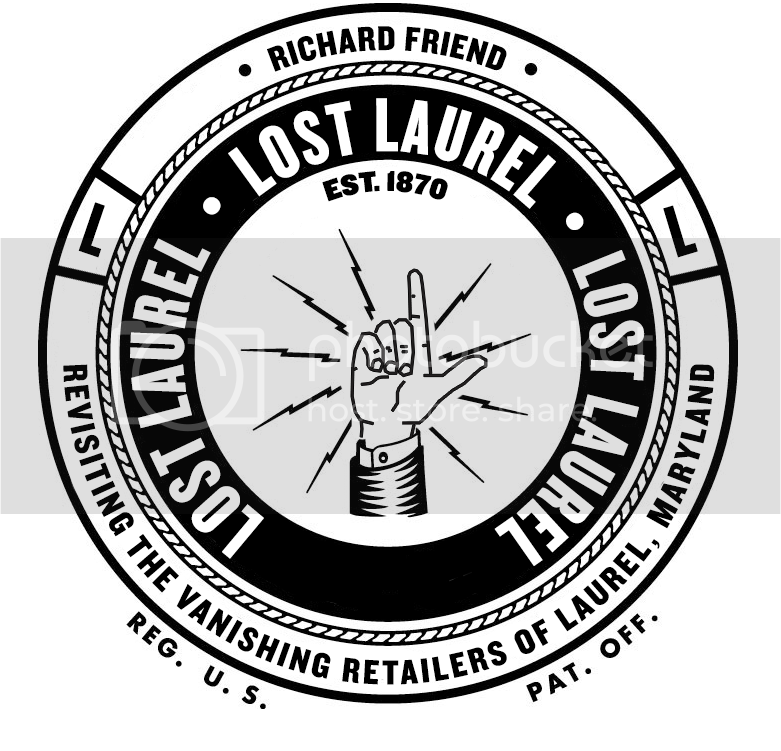 If you’d like one of your own, contact Michael at michephoto@msn.com or through Facebook. 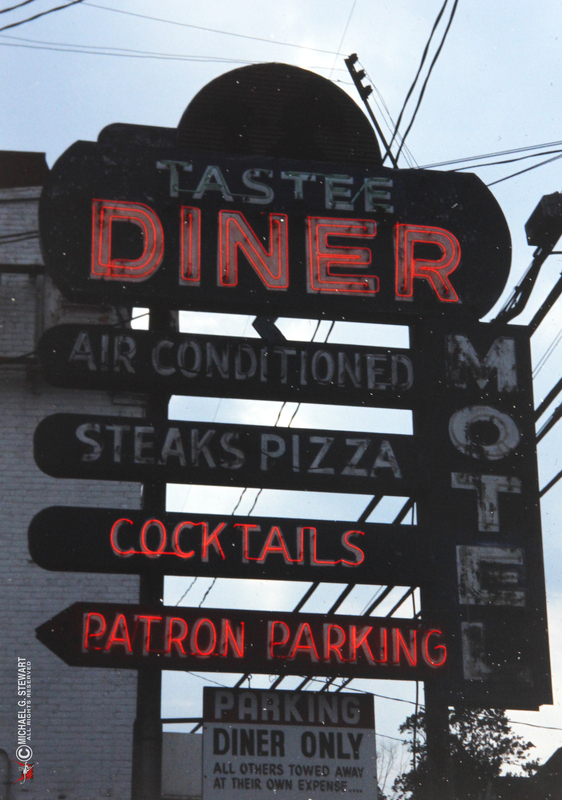 Oh, and I almost forgot—you can’t go to the Tastee Diner without enjoying copious amounts of good, strong coffee and a slice of pie, even it’s for breakfast.